Bennett's Orchard makes 6 hard ciders. All cold pressed from our sweet cider. 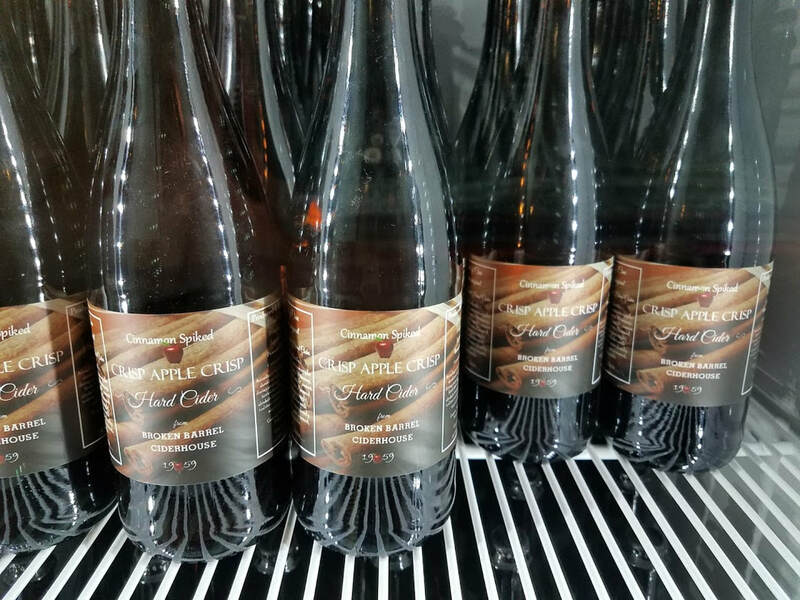 All of our hard ciders are hand crafted at our Michigan orchard, we press only apples we grow, including Northern Spy, Winesap, Jonathan and Grimes Golden. We have standard trees dating back to the 1930's still producing antique varieties perfect for our hard cider blend. Come visit our expanding Fresh Market and Cidery to taste one of our unique ciders. Our original Hard Cider, a little sweeter with cinnamon bark infused for a sweet bubbly spicy taste. Our original hard cider, delicious and bubbly, spicy, naturally fermented, slowly aged and finished clear, a pure Michigan craft. found their way into our hard apple cider and they are causing quote a ruckus. The law will surely be called to control the panic when this one runs out....come quick to see the commotion..